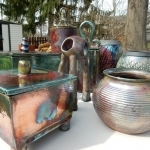 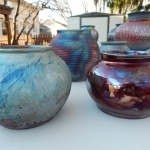 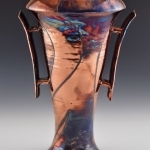 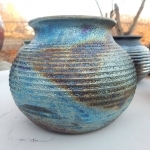 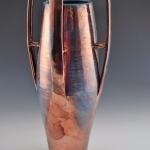 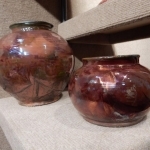 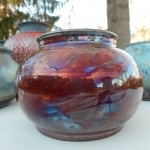 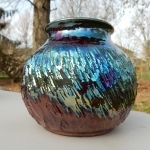 I make decorative vases and wall hangings using Raku or high-firing methods. 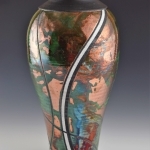 The inspiration for my art comes from the continued influence it has on my view of human life. 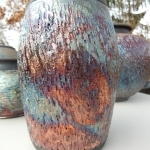 I strive to make forms which could resemble something you might see in an ancient pottery museum combined with the vibrant colors of Raku glazes and modern firing techniques. 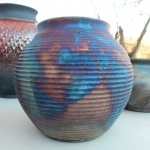 I feel an ancient spiritual connection to the Earth when working with clay. 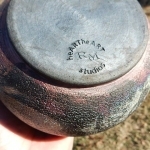 When I center the clay on my pottery wheel, I feel myself center. 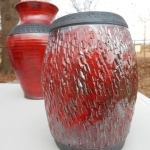 Gazing into the kiln I’m reminded through fire we are made strong. 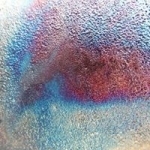 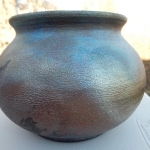 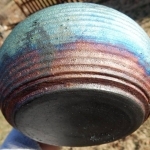 When vibrant colors emerge on a piece of Raku I see that despite hardship we can be even more beautiful. 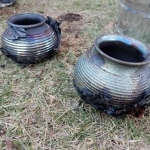 Quenching the Raku in water is a sign we can realize our full potential when we wash ourselves clean of hardships. 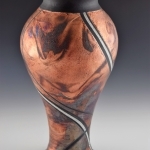 Each piece of my art tells a story of human life, and each reminds us of the beauty in that struggle of life. 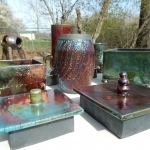 Juried member of Best of Missouri Hands since Jan 2018.